This site presents photos of some building, road, and freeway damage from notable earthquakes and one associated intensity map. This information will help students recognize the types of damage done to structures by earthquakes. 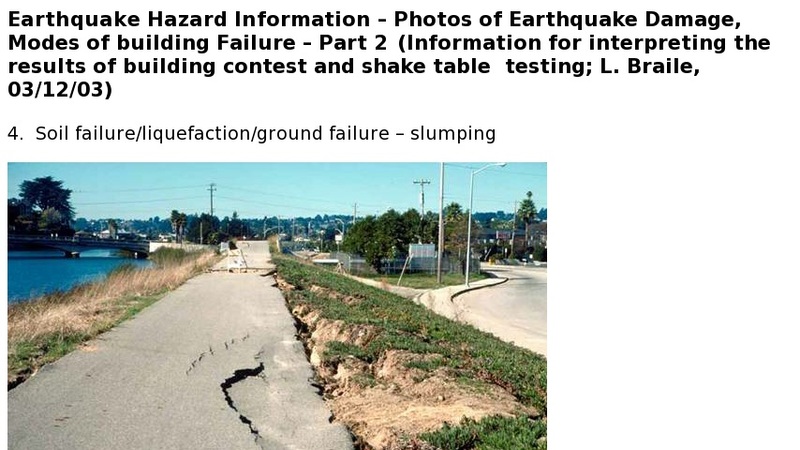 The examples are classified by the dominant mode of failure observed and include ground failure due to liquefaction, partial building collapse caused by ground slumping, and partial wall and parapet collapse.